In today’s security climate, the targets of choice for terrorists are not heavily-guarded government key installations or so-called “hard targets”. Rather, terrorists have been targeting “soft targets” such as public areas, private establishments and places with high volumes of human traffic. There is a need for all buildings in Singapore to be tactically hardened against potential terrorist attacks. In November 2006, the SWG Scheme underwent an upgrading exercise to incorporate both safety and security aspects of the Police and SCDF, and become officially known as the Safety and Security Watch Group (SSWG) Scheme. Through this conversion, the business community will be better equipped with robust measures to fight crime and terrorism threats effectively as well as become more confident to tackle future crisis incident. There are more than 150 SSWG clusters with close to 1400 member buildings. 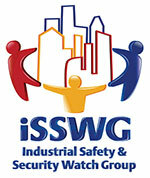 While geographic-based SSWGs have enabled commercial establishments located in close proximity to institute common safety and security measures to protect against a localised terror attack or crime, the scope, however, may not sufficiently address the safety and security concerns of the SSWGs at the industry-level, where the impact of a terrorist attack or any other disaster could be far-reaching as the entire chain of operations is disrupted or stalled at the industrial level. The impact would not only cripple the operations of an industry, it would also affect the economic well-being of the country. In 1981, SPF introduced the Neighbourhood Watch Scheme (NWS) to encourage mutual care and help among neighbours by having residents keep an eye on each other’s premise, discuss initiatives to mitigate crime concerns and share crime prevention messages. Within this scheme, groups of households known as the NWGs were formed to assist in looking out for all types of crime within their neighbourhood especially within the vicinity of their immediate residence. A typical NWG consist of groups of 5 households located on the same and adjacent floors NWG members will call for Police if they notice any crime in progress or when they spot suspicious activities or persons. This is critical in the early detection and intervention before criminals can cause any injury to persons or damage to properties. Currently, there are more than 100,000 NWG members island-wide. COP groups have been established within the various communities and neighbourhoods in Singapore. Patrols by COP members augment those by Police. They are alerted to the latest safety and security concerns and help to detect such threats, thus becoming the 'eyes and ears' of the Police. Should the members notice any crime in progress or any persons behaving suspiciously, they would call the Police for immediate response. COP members also raise crime prevention awareness in their respective communities by distributing crime prevention pamphlets and offering crime prevention advice tor resident during their patrol. Inspire - To inspire other elderly to play a part in crime prevention. Youth crime is a key concern and to shrink future adult criminal population, Police Land Divisions engage at-risk students under Youth Engagement Programs (YEP) which include activities such as sports and societal responsibility. The police runs its Youth Engagement Programme (YEP), which introduces police mentors to at-risk male students aged 13 to 14 years old. These students generally comprise adolescents who do not have criminal antecedents but are deemed vulnerable to crime due to certain environmental and socio-economic factors. The YEP aims to alter attitudes, adjust behaviours and advocate positive change in the lives of the students who participate in the programmes. It is also aligned with the SPF’s preference for engagement and proactive prevention to enforcement. Since its first run in year 2012, over 2,000 students have benefited from the programmes nation-wide. 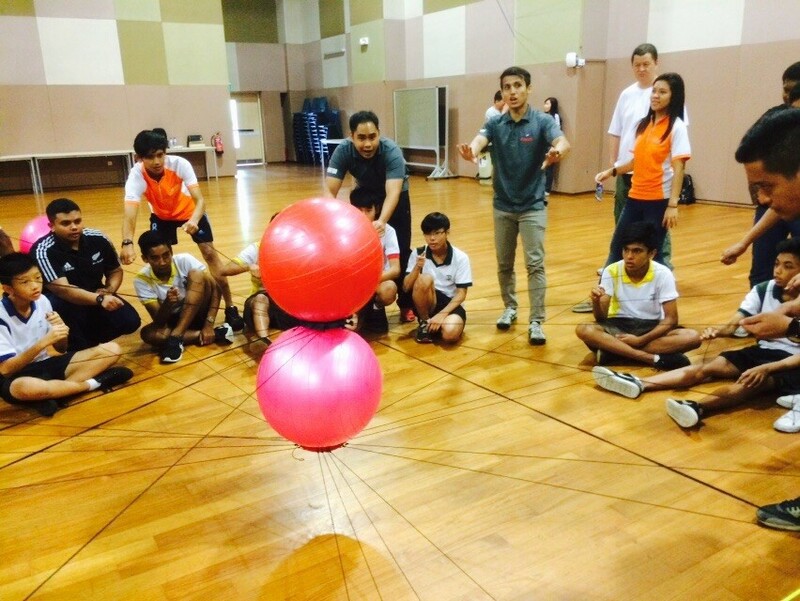 Youths taking part in an activity during ‘Camp Evolution’ together with Police mentors from Bedok Division and camp facilitators. ‘Camp Evolution’ aims to equip participants with interpersonal and anger management skills as well as to reduce anti-social behaviour. Youths are taught the importance of setting goals and developing a positive attitude during the MacRitchie Tree Top Walk. 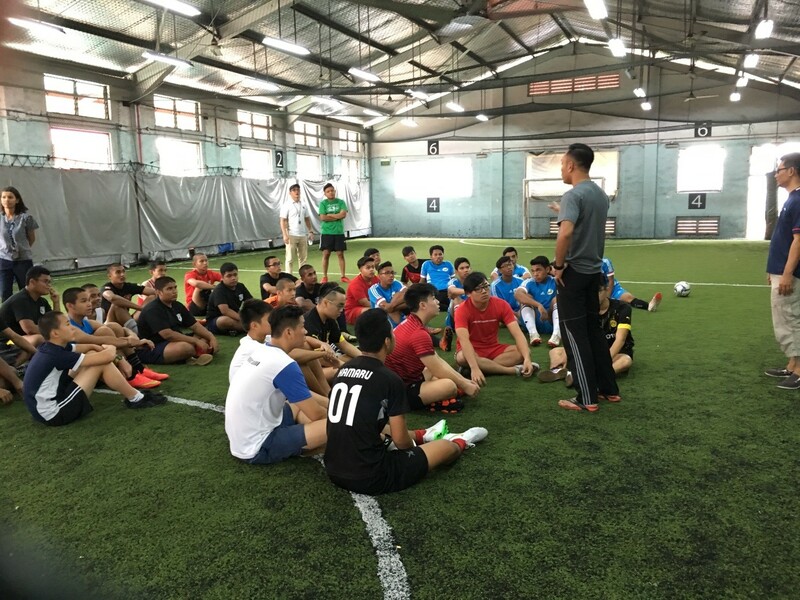 Youths being briefed before their game at the Rochor Annual Futsal Tournament 2015. As the youths come together to expend their energies in some sporting fun, Police mentors capitalise on the opportunity to caution them against falling into crime and help them improve themselves at the same time. 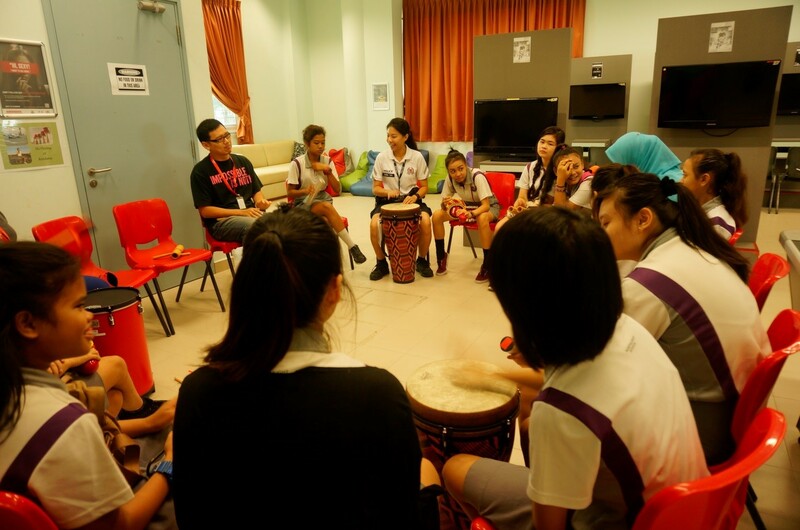 Focus group sessions allow police officers from Rochor NPC to meet the students in smaller groups for effective interaction.